Chic décor doesn’t have to be difficult to achieve. In fact, creating a stylish home is easier than your think. Today on homify we’re going to show you 7 interiors that we think your guests will love! Easy to emulate and recreate, these designs are so über-chic, fashionable yet timeless you’ll wonder why you didn’t update your home years ago! Is your dwelling looking a little lacklustre? Is it boring, dull or dowdy? If you’ve answered yes to any of these points, you might want to consider checking out the following and updating your abode with style, pizzazz and flair! Who can look past customised joinery? Not only does it fit your apartment or house to a T, it also provides essential storage that will keep your dwelling clutter free and minimal. Take some cues from this stylish example and opt for cupboards and cabinetry that contains cut-outs, perfect for showing off your objet d'art or eye-catching accoutrements. Vintage bathtubs are timeless, stylish and wonderfully alluring. If your bathroom is in need of a renewal, impart a little 19th-century glamour with a clawfoot bathing vessel. This classic roll-rim tub is chic and inviting, and paired with a neutral colour scheme, timber mat and plenty of natural light for maximum opulence. 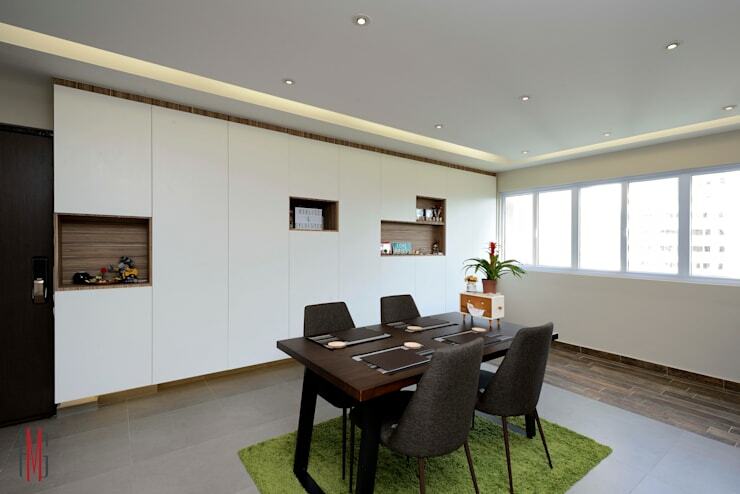 Recessed lighting can be added to a range of different interior spaces. 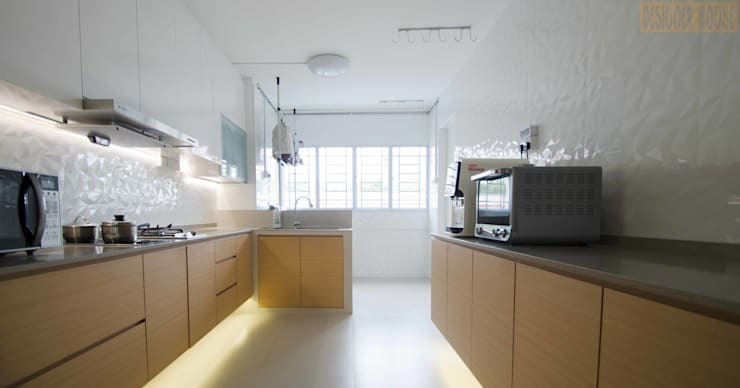 In this kitchen the indirect lighting has been added to underneath the joinery both on the floor and under the overhead cupboards. This adds a little luxury and chic style to the room, brightening it easily and efficiently. Eye-catching and chic, decorative finishes that are carried from inside the home to the exterior space are wonderfully engaging and relatively simple to achieve. In this example we see the timber cladding that is affixed to the wall and continued outside onto the terrace. 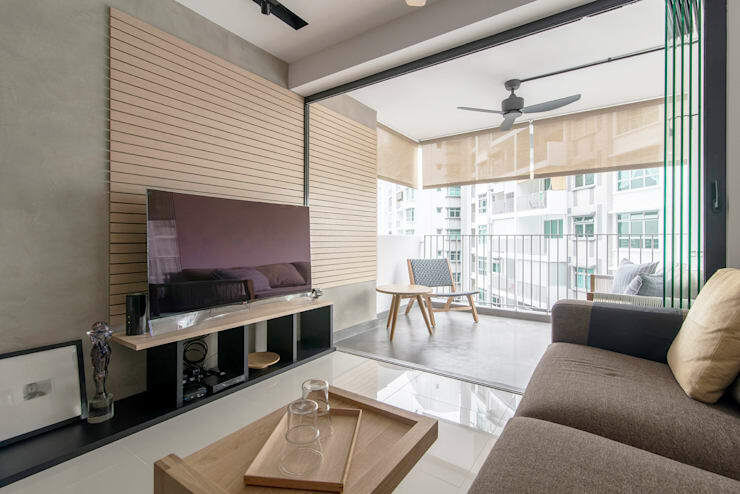 This breaks down the barrier between the interior and exterior, opening up the room, unifying the design and contributing a wonderful sense of continuity. Sliding doors are ideal for small or compact homes, saving space while looking chic and unique. This sliding door is designed with a top hanging bar by which the door is able to be pushed either side. With added glass panels this means light can travel easily between the spaces, while still maintaining privacy. Look beyond the typical tiling patterns and choose something that is eye-catching and unique. 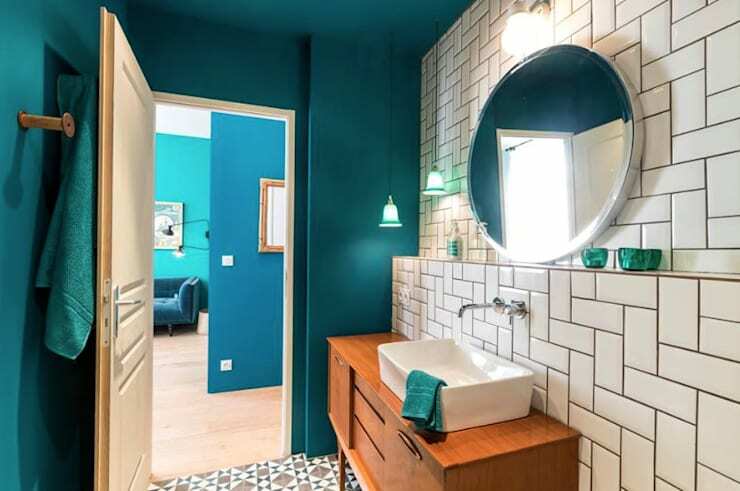 This bathroom is wonderfully original, with on-trend viridian hue walls, mid-century modern vanity, round mirror and incredible white patterned tiles. We basically love everything about this room, from the neutral sofa to the range of indoor plants—but in particular we love the feature wall. 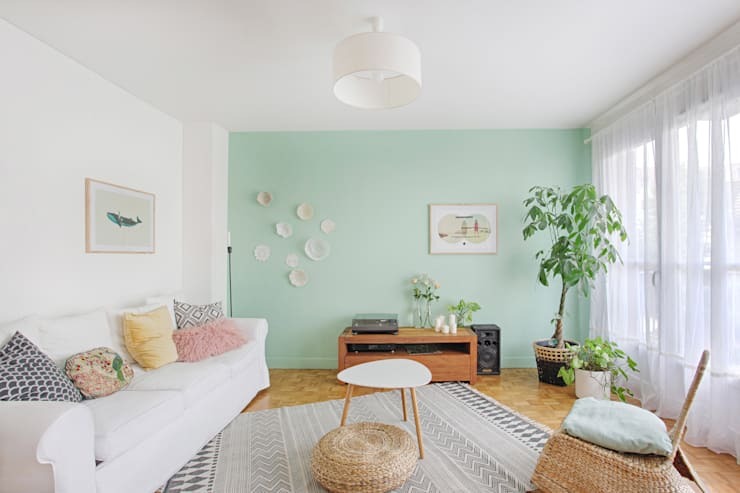 Perfectly pastel with its mint green hue, the designers have looked beyond simply adding a colour, and hung artwork, plates and placed a timber media unit against it. This creates a focal point for the room, and boasts plenty of ideas you could easily emulate for your own abode. Which of these ideas would suit your home?